New Delhi: If you work for an information technology company, it makes sense to be in the R&D function. According to a recent study conducted by technology research firm IDC India Ltd for Dataquest magazine, multinational firms in the R&D business pay the highest salaries in the Indian IT industry. The top three paymasters in the industry, according to the study, are companies that hire people largely for R&D work in India: Cadence Design Systems (India) Pvt. Ltd, Sun Microsystems India Pvt. Ltd, and Honeywell Technology Solutions Lab Pvt. Ltd. “For R&D, you need the best brains and you can’t get them cheap," says E. Balaji, CEO, Ma Foi Management Consultants Ltd. The study also found that foreign IT firms such as IBM India Pvt. Ltd, Capgemini Consulting India Pvt. 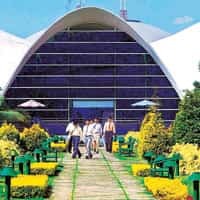 Ltd and Computer Sciences Corporation India Pvt. Ltd pay higher salaries than their Indian counterparts. According to the study, the average salary hike received by software professionals in 2007 was 18.7% compared with 18.3% in 2006; and the average salary of people in the IT industry, across all management levels barring the top management has grown 11% to Rs6.2 lakh per annum. This average salary increase is considered significant because large IT firms have been hiring a large number of people at the entry-level. “It is generally expected that, with the on-campus recruitment of thousands of freshers, the average salaries should go down," says Shailendra Gupta, senior manager, research, IDC India. The survey also found out that there is no correlation between salaries and the satisfaction of employees with salaries. “We knew that high salary didn’t always mean high satisfaction, but the sheer extent of disconnect is amazing. There was less than 8% correlation between salary and satisfaction with salary," says Prasanto Kumar Roy, chief editor, Dataquest. Thus, Cadence, that ranks No.1 in terms of salary, comes in at No.10 in terms of satisfaction of employees with salaries. And HCL Infosystems Ltd, that ranks No.1 in terms of satisfaction of employees with salaries, ranks No.23 in terms of salaries. The survey found that companies that manage to keep their employees happy can afford to pay lower salaries. “Although salary is one of the biggest deciding factor, a lot depends on the kind of growth potential and work environment the company offers," adds Ma Foi’s Balaji. The survey, which excludes top management, covered 2,806 professionals across 31 software companies.